5 Fun Facts About Promo Modeling - Why you Should Start! Promo modeling entails using individuals especially women to advertise a company’s products. Promotional models will engage the public in high profile occasions such as concerts, trade fairs, product launches, brand marketing, re-branding events, communal events, sports events and exhibitions among many other events. Promo models will also be referred to as brand ambassadors, trade fair models, event personnel as well as event staff. Promo modeling is a form of experimental marketing which is aimed at analyzing the market reception of a product or bringing into focus new products. Promo models will play a central role of distributing free gifts to the people attending the show or exhibition. While handing out beautiful merchandise to the customers, the show girls are allowed to keep some gift items. This is probably one of the main reasons ladies always desire to become promotion models. The more gigs a model is involved in, the higher the chances of accumulating promotional merchandise. Other than just receiving free stuff, the models also make a substantial income during the events. The first impression that meets the eye of a person attending a launch, trade fair or brand marketing is the gorgeous face of the promo model dressed in elegant attire. Companies as well as their marketing associates will go the extra mile to make sure that the model is representative of the company’s goal and agenda. Other than adorning beautiful and elegant attire, the promo models are allowed to keep the garments worn during the event. With some events taking place over a couple of days with each day having a different theme, a promo girl will end up accumulating a number of outfits. Many events take place regularly and all over the region, a promotion model will therefore be required to be on the road most of the time. This provides the brand ambassador an opportunity to visit new regions and also interact with people from different cultures. Many models confess that the traveling experience not only broadened their mind scope, but also enabled them make new friends. During the promotional trips, the show girls get to interact with celebrities and other famous people. The models are also involved in photo shoots at different locations as well as taking part in scenic tours of the region. It is common knowledge that people will not only be drawn to an event by the products on offer, but also to catch a glimpse of beautiful and well dressed models. Promo models are aware of this and make it their business to enjoy time in the limelight. Promo models are extroverts hence draw energy from people around them. Being a promotional model is a good way of building a person’s confidence and self esteem due to being the centre of attraction as seen by everyone wanting to take a picture alongside the model. The show girls are the curtain raisers and also the show stoppers at any event. 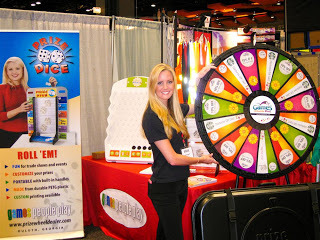 Promotional models will advertise a myriad of products on different occasions. Unlike catwalk models who have to adhere to the laid down rules in the contract, promo models have the option of choosing which products to promote and which not to. The freedom ensures that the model does what suits her and in the ideal time without any strings attached. Reasons that will make a model pull out of a promotion gig will include time commitments and also to avoid going against personal, religious or cultural beliefs. Promotional modeling is without argument one of the fun jobs that only entail keeping a smile all the time, interacting with lovely people and most importantly being paid.